Our late model kits are engineered above and beyond the call of street duty to provide the most reliable and safest power available in a nitrous system today. From the latest in technology available in fly by wire controllers to the record breaking atomization of the Liquid Force nozzle, SHP/Speedtech systems are sure to keep you in front of your competition bottle after bottle. SHP/Speedtech customizes each kit for each vehicle with correct line lengths, fittings and system layouts guaranteeing you one of the easiest and cleanest installations possible. All systems are completely adjustable from 75-150 hp and are also rpm and throttle position adjustable at the touch of a button. 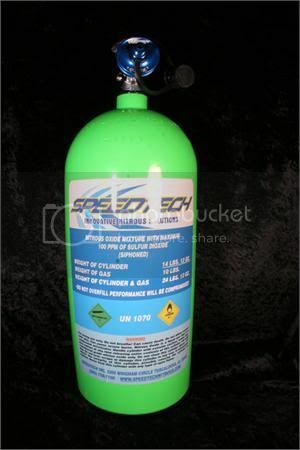 All systems come complete with a 10# nitrous cylinder.